For all those interested, you are warmly invited to attend our Brethren in Christ denominational annual general meeting on Saturday, May 6, 2017 at The Meeting House in Oakville, 2700 Bristol Circle, Oakville, Ontario. 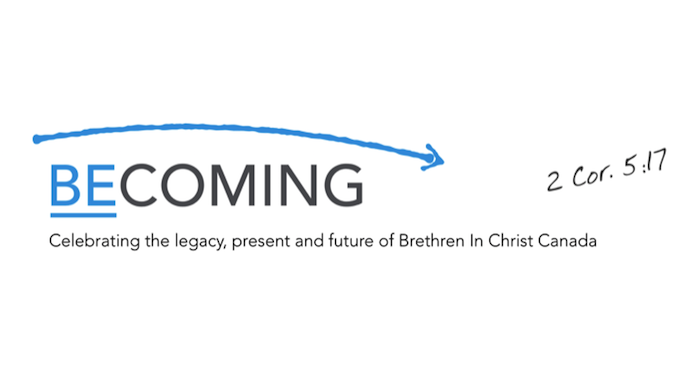 Come celebrate the legacy, present and future of Brethren in Christ Canada. It is a great opportunity to connect with others in the denomination, reflect on our journey together so far and look to the future that God is leading us into. For details and to register, go to our denominational website. This meeting is open to anyone interested, but only delegates will be able to vote. If you are not a delegate, please select Guest (Non-Voting). All attendees must pre-register. Please plan to arrive at 8:30 am on Saturday, May 6 to check in. There will be light refreshments. The program starts at 9:00 am. You may also wish to participate in the Theological Study Day with pastor and theologian Greg Boyd, the day before on Friday, May 5, from 9:30am-4:00pm at The Meeting House.